The Church of St. Trophime was built in the 12th century, and it seems work in various forms was done at the site up to the 15th century. For instance the church cloister was completed in the early parts of the 13th century. At the time construction began on the church, Arles was the second largest city in Provence. It boasted a bustling port on the Rhone that dated back to Roman times. 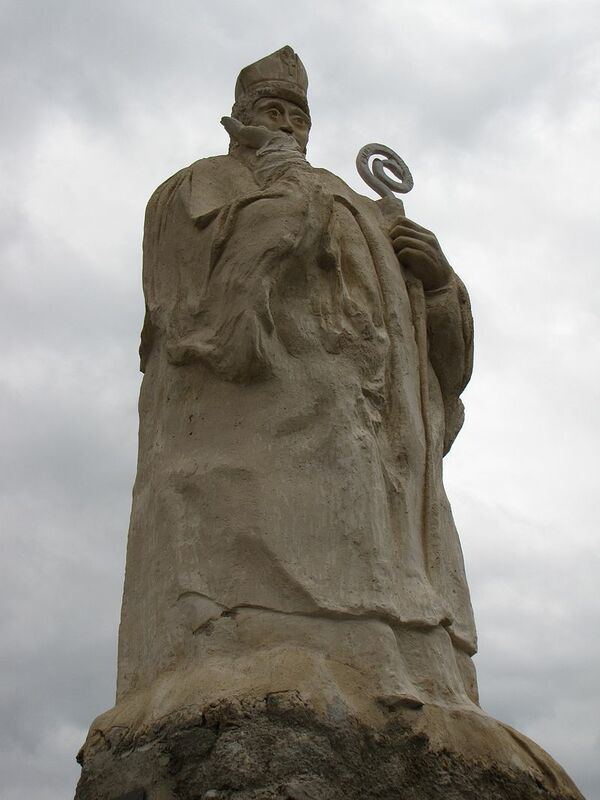 It was visited by many religious orders including the famous Knights Templar. As I mentioned earlier the stamp was issued 2 May 1935. 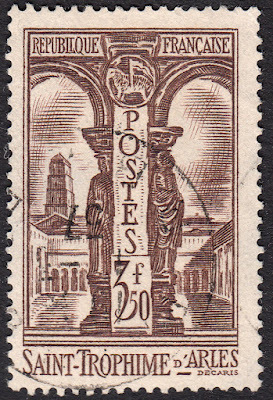 This stamp was both designed and engraved by Albert Decaris. 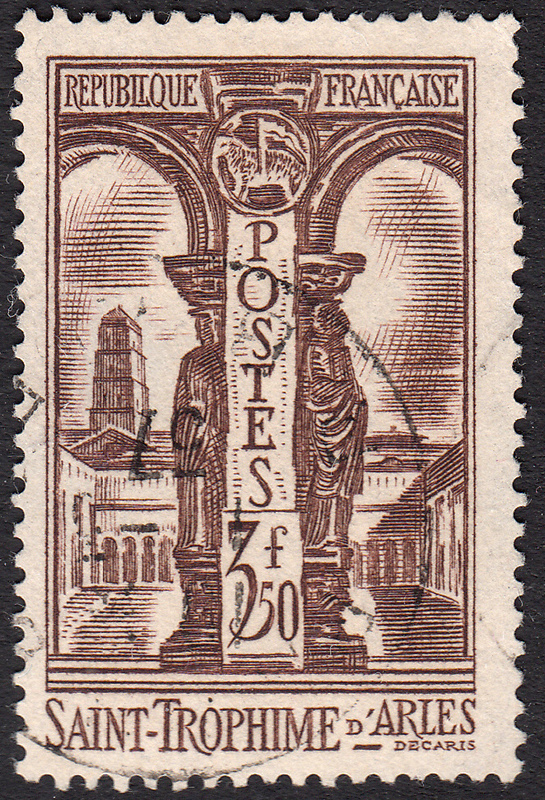 The subject of the stamp is a beautiful pillar decoration from the cloister of the church. I haven't been able to find any images on the net as yet of an example of one of these pillars, but the search goes on. As does the search for a reasonably priced mint copy of the stamp for my collection.